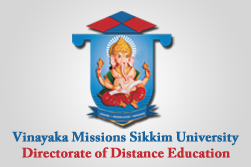 The Vinayaka Missions Sikkim University(VMSU), Sikkim was established in the year 2008 as per the statutory provisions under the Vinayaka Missions Sikkim University Act (No.11 of 2008) as notified vide Govt. of Sikkim Gazette No. 321 dated July 30, 2008. The University is fully geared up to cater to various UG & PG studies / programmes right up to Ph.D. degrees. The Vision of the University is ‘To Ensure Excellence in Education’. 1. To provide instruction, teaching, training and research in Medical, Dental, Homoeopathy, Naturopathy, Nursing, Paramedical, Engineering, Management, Arts and Science, Education, Law, Agriculture, Physical Education, Veterinary Science, Fashion Technology, Vocational, and allied courses and related subjects and make provisions for research, advancement and dissemination of knowledge therein. 2. To establish a campus in the State of Sikkim, and to have study centres, campuses and examination centres at different places in India and abroad. 3. To offer continuing and distance education programs. 4. To institute degrees diplomas, charters, certificates and other academic distinctions on the basis of examination, or any other method of evaluation. 5. To collaborate with other colleges or universities, research institutions, industry association, professional associations in India or abroad, to conceptualize, design and develop specific educational, and research programs, training programs and exchange programs for students, faculty members and others. 6. To disseminate knowledge through seminars, conferences, executive education programs, community development programs, publications, and training programs. 7. To undertake programs for the training and development of faculty members of the University and other institutions in India or abroad. 8. To undertake collaborative research with any organization in India or abroad. 9. To create higher levels of intellectual abilities. 10. 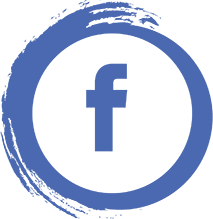 To provide consultancy to industry, Government and Public Organization. 11. To ensure that the standards of the degrees, diplomas, charters, certificates and other academic distinctions are not lower than those laid down by University Grants Commission (UGC), All India Council of Technical Education (AICTE), Bar Council of India (BCI), the Distance Education Council of India (MCI), the National Council for Teacher Education (NCTE) and the Pharmacy Council of India (PCI) and other National Accreditation bodies. 12. To do all things necessary or expedient to promote the above objectives.